Health visitors are working with caseloads so large they fear for children’s safety. The Institute of Health Visiting (iHV) annual survey of more than 1,200 health visitors in England found 28% report have caseloads of between 500 and 1,000 or more children. A total of 44% are working with caseloads of more than 400 children. The institute recommends a maximum of one health visitor to 250 children if a service is to be safe. The report reveals rising stress levels among health visitors, with many saying they are so stretched they fear a tragedy will occur. iHV executive director Cheryll Adams said cuts to public health budgets have led to a loss of around a quarter of the health visitor workforce in the past three years. The survey responses showed health visitors’ capacity to deliver all of the five mandatory universal health and development reviews from the Healthy Child Programme in England is seriously compromised. The iHV said many reviews are delegated to non-registered practitioners who have no health training, and some are not carried out at all. Around 65% of families do not have an appointment with a trained health visitor after their child’s six to eight-week contact, rising to 79% after the first year of life, the report states. 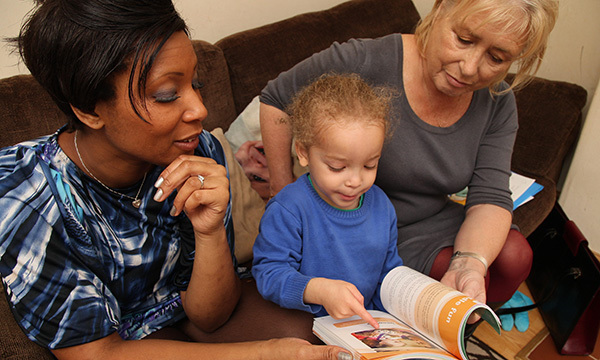 Queen's Nursing Institute chief executive Crystal Oldman commented: ‘Health visitors' work with children and families has been significantly diminished in some areas of England, as this report demonstrates. 'This is an unacceptable consequence of budget cuts at a time when investment in these services is increasing in other countries of the UK. A spokesperson from the Department of Health and Social Care said: 'We greatly value the important role that health visitors play in supporting children and families in the early years of their life – that’s why our Healthy Child Programme means they receive five mandatory health visitor checks before they are two and a half.